I was at the Museu del Disseny de Barcelona for OFFF 2018. Over the course of three days, I joined creatives from all over the world in showcasing and discussing the most avant-garde trends in design, advertising, cinema, television and editorial art. 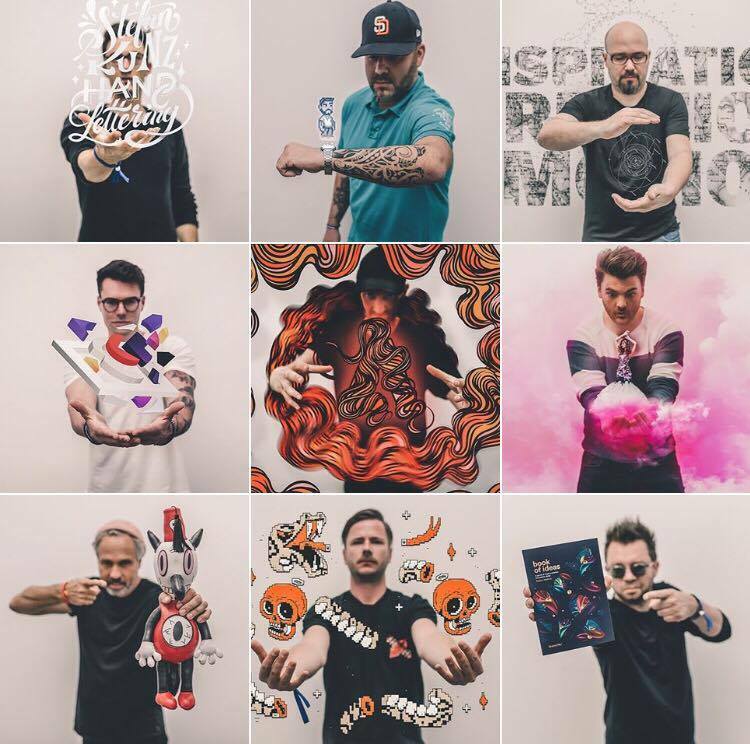 I met so many great creatives like Bram Vanhaeren, Felix Rachor, Oliver Huard, Mr. Cup, Gary Baseman, Musketon and DXTRtheWeird (just to name a few). We came up with the idea to shoot some creatives and they add their personal flavor to the picture. You see some of the results in the collage above. Hope you guys like it. Huge thanks to Adobe for inviting me, always a pleasure to work with you! Now back home to lovely Paderborn.